American Standard Media specializes in Radio Broadcasting and Media Production. Falls Media Productions provides media production services, video, photo, or print. GenXRadioNW is Whidbey Island's choice for decades of the greatest music. Serving the north Puget Sound. LUC-TOVEN Productions provides Digital Audio Production & Sound Mastering. Photo Video 2000 is a full service, state of the art, photo and video studio. Serving Central Florida Since 1985. We tell your story in a compelling way. Sandstorm Productions, Inc. provides film & television production services. The Beverage Channel is a cable network that broadcasts worldwide. Three Chairs Productions is a video production company specializing in broadcast, online, and digital content creation. VisualVega provides Artistic Services including Original Art, Prints, Film, Photo, Painting, Graphic Design, and Mural. Production Studios owned by past military and present military members. 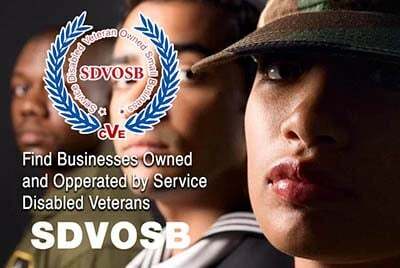 Veteran Owned Businesses (VOB), Active Duty Military, Reservists and Service Disabled Veteran Owned Small Companies (SDVOSB) of the United States Army (USARMY), Air Force (USAF), Marines (USMC), Navy (USN), Coast Guard (USCG) and National Guard production studios and companies specializing in film, video, television and audio production services.